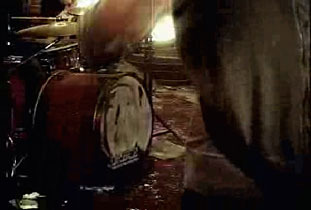 Chin makes an appearance in a significant number of the Switchfoot Music Videos, including those pictured below: Chem 6A, New Way To Be Human, You Already Take Me There, and Meant To Live. 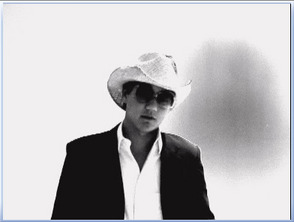 Willis Chin also stars as himself or 'Chin' or 'The Legend' or 'Dash Rip Rock' or "you can just call me 'Nice'". Jump to the media page so you can go spot Chin yourself! Ever wondered the mysteries behind the respective CD and song titles "The Legend of Chin" and "Ode to Chin"? 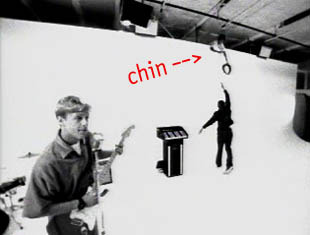 Or why Switchfoot's former name was Chin Up? Here's the man that inspired it all: Willis Chin. 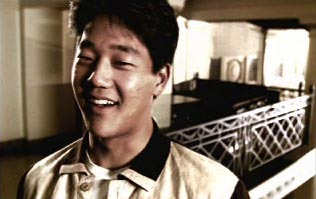 Born on September 2nd 1977, Willis Chin grew into a fine young man, a close friend to the members of Switchfoot, and an inspiration to all. "Willis is definitely one of our heroes," says guitarist-songwriter Jon Foreman. "He's so real and so consistent in living out his faith. He's no fake. And that's what we hope our album [Legend of Chin] is all about—about being real, no matter what the situation or circumstance." March 18th-25th is Chin Week!!! What is the history behind Chin Week? 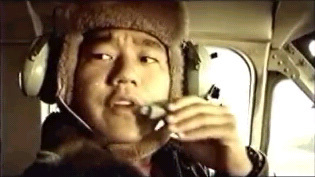 Chin Week was started on the old CCM Chat Switchfoot Message Board (r.i.p.) in the year 2001 by a very kind and creative boardie named firefly. Firefly thought it would be fun to have a week dedicated to the legend himself, Mr. Willis Chin. The date was set for March 18-25, and although only a few lone boardies (it was a small board) participated in the first Chin Week, it was an immediate success. 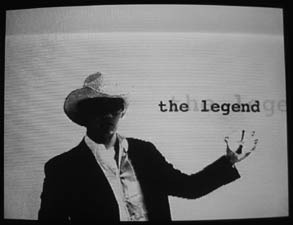 The week's events consisted of using the word "chin" in every post made on said message board, and spreading the word about Chin Week through AOL buddy icons, e-mail postcards, and simply by word-of-mouth to friends and family members resulting in the promotion of Switchfoot, the band behind the legend. As the years have passed, Chin Week has spread to the Official Switchfoot Message boards and to more and more awesome fans. Although the "chin posting" wasn't such a success at transfering to the much larger setting of the official boards, fans have continued to celebrate and participate in the other Chin Week festivities and have added their own creative flare to spread the word. One example was a boardie singing "chin chin chin chin, chin chin chin chin..." to the "meow mix" commercials on television, resulting in funny looks from parents and siblings, but still quite effective at drawing notice. Its easy to get involved in Chin Week! Snag a Chin icon for interneting business and when people ask you what it's about share the news about Chin Week and Switchfoot. Get creative, spread the word in any (safe and respectable) way, shape, or form! If you got in trouble, who in the band would you blame? "Jerome." If Jon and and Tim got in a fight, who would win? "Me." What did Tim do to get Jon to spill grape juice all over his new shirt on his birthday? "Oh dude, I wasn't there for that. You know more than I do, and I had to go to middle school with those fools!" If Switchfoot got in a fight, roadies and all, who would win? "Jerome." Do you have anything you'd like to say to the people at our site? "Word up." 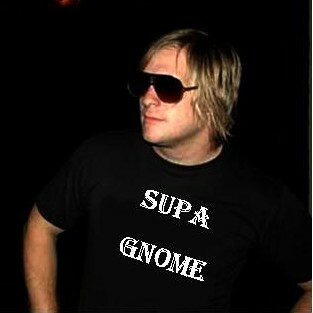 Todd Cooper, a LONG time friend of Jon and Tim Foreman is the techgnome of Switchfoot. The Supreme Roadie High And Mighty. For more information...read The Fallout's "Tribute To The Gnome"